We have an addiction to fun and unique nail polishes – so we have pulled together a few of our favorite styles for brides to try on their special day! We love the hombre effect of the glitter on these nails! Start with a sheet pink and paint the nail until it is opaque. Wait until it dries before you begin painting the glitter on. Starting from the tip of the nail, brush a stroke towards the cuticle. Without re-wetting the brush, begin to pull the glitter from the tip of the nail towards the cuticle. Simple glitter can go a long way! OPI has a plethora of glitter polishes, from tiny flakes (seen here) to big chunky flakes tha tgive your nails a mirror-like appearance. Minty green might be an unusual color for a wedding, but this cool green is pale enough to not be too over-the-edge! Go achieve another mirror affect, go for a metallic polish! This style is more daring, but is certainly eye-catching! 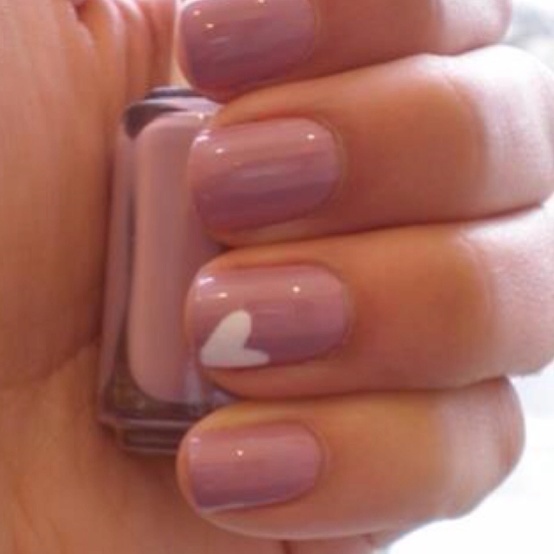 We love this sweet heart on the ring finger! You can use any color combination, but pale pink and white feels very girly and sweet to us – perfect for a bride’s day!